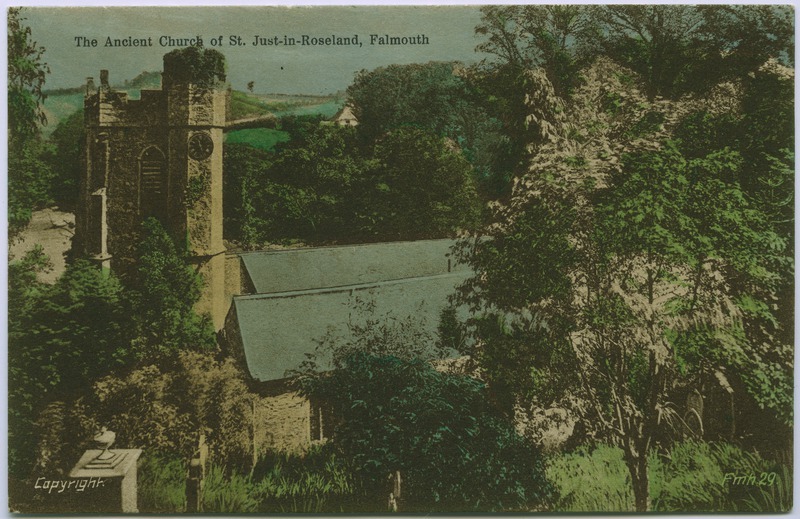 “The Ancient Church of St. Just-in-Roseland, Falmouth,” Morrab Library Photographic Archive, accessed April 19, 2019, http://photoarchive.morrablibrary.org.uk/items/show/14668. Prints and digital files for personal or commercial use are available. Please contact us quoting the Identifier(s) of the image(s) that you require. If no photo is visible with this record then it has not yet been digitised. Photos that have been digitised are presented in their raw and unedited form. Find out more about the stages of our digitisation project.